Byron, the hamburger restaurant chain, has added Crispin Porter & Bogusky London to its ad agency roster to launch its summer 2016 campaign. CP&B London’s work for Byron includes the concept and design of the brand's restaurants and naming its new limited edition burger, the B&A. 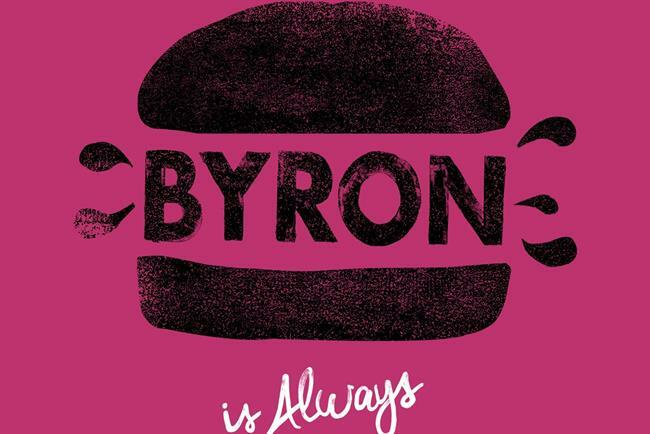 Byron hired 101 earlier this year to create its "proper hamburgers" poster campaign. Meanwhile, 101 has been appointed by Dole Packaged Foods as their UK creative agency. The independent shop will deliver advertising across the brand and planned new product launches. There is no incumbent. As Campaign revealed today, BT has retained Group M for its combined media account in an arrangement that will see staff from Maxus and MEC come together in a new bespoke unit, Team Connect. Read more about this story. Coty, the beauty company, has appointed BETC London to handle its global advertising account for Rimmel after a competitive pitch. US agency Laird & Partners is the incumbent. Read more about this story. Auckland Castle Trust has appointed Omnicom agencies Abbott Mead Vickers BBDO and Siegel+Gale to develop the brand identity and communications for the historic building in County Durham. There is no incumbent for the brief. Harley-Davidson has appointed Interpublic Group to handle its global ad, digital and media account, following a competitive pitch process. The premium motorcycles maker had previously worked with Victors and Spoils (creative), DigitasLBi (digital) and Starcom (media). Read more about this story. Northern, the largest UK rail network outside London, has appointed Oliver Manchester to put together a £2m brand positioning and marketing campaign. It has also appointed MediaCom Leeds for media planning and buying. It is the first time Northern has worked with a single creative and media agency since taking on the rail franchise in April.